On this day in 2009 the Yankees shortstop Derek Jeter was named Sports Illustrated Sportsman of the Year. The Yankees captain would be the first Yankee to ever be named the winner of the award since SI started giving out the award in 1954. Also on this day in 2000 the New York Yankees signed Mike Mussina to a six year deal worth $88.5 million stealing him from the rival Baltimore Orioles. Mussina would stay with the Yankees through the 2008 season and finally get his 20 win season in pinstripes before riding off into the sunset. 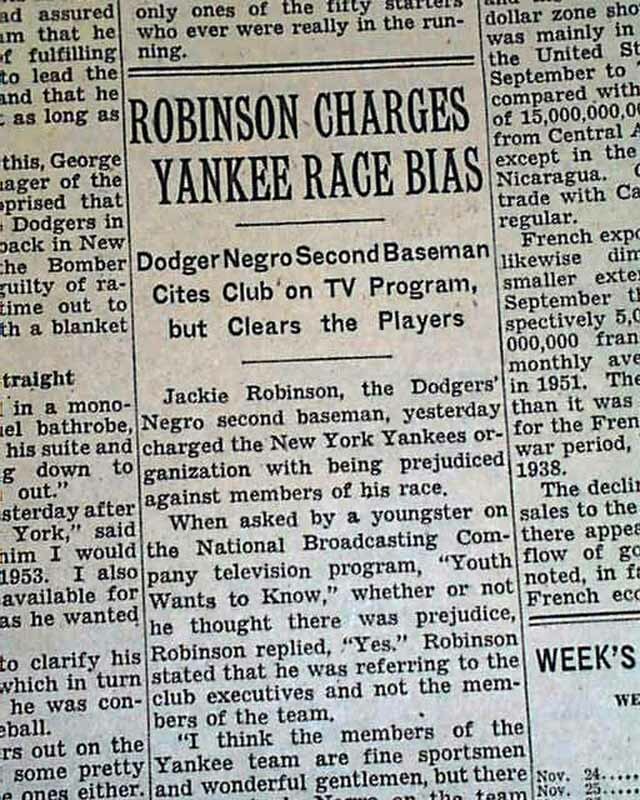 Finally on this day in 1952 Jackie Robinson went on a New York television show accusing the Yankees of being racist for not having a black player on their team. The Yankees would not sign a black baseball player until three years later when they signed Elston Howard, nine years after Jackie broke the color barrier in Major League Baseball.